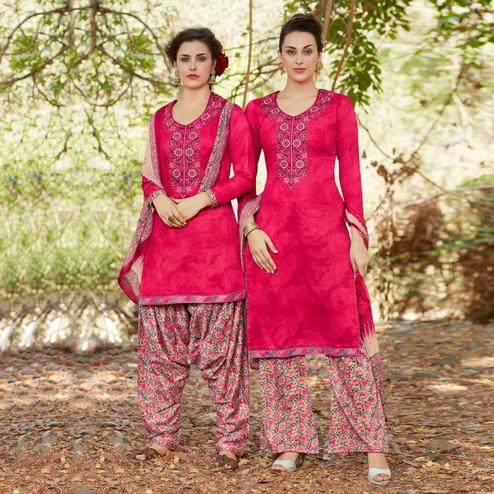 Bring in a wisp of grace and freshness to your dressing style with this amazing rani pink colored embroidered suit. 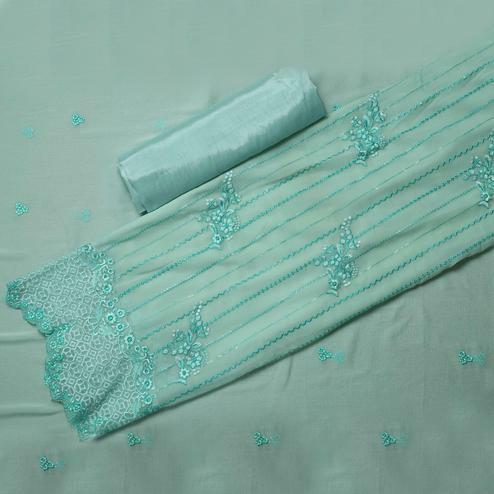 The top is made of cotton fabric which is stylized with beautiful embroidery. 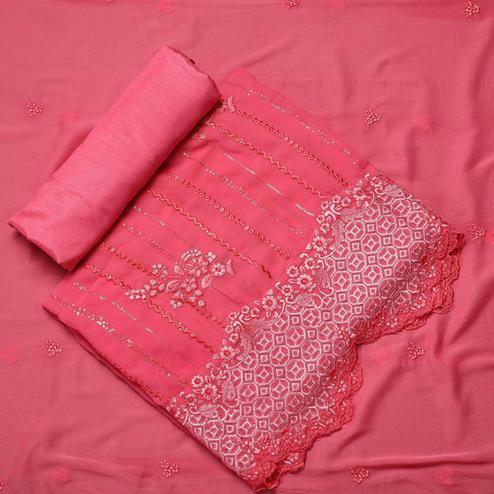 Comes along with unstitched cotton bottom and printed chiffon lace dupatta all synchronized well with the latest trend and style. Get this unstitched suit stitched into patiyala, semi patiyala or churidar style bottom as per your desired fit and comfort. 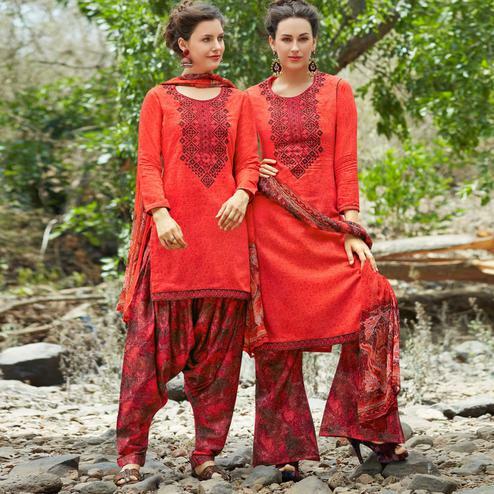 Women can buy this suit to wear for their upcoming homely functions, parties, kitties, weekend get together. Grab this suit now as it's easy to maintain and comfortable to wear all day long. Team this suit with ethnic accessories and high heel for a complete look and fetch compliments for your rich sense of style.